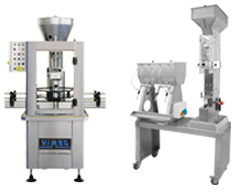 The Voran Rotary Carriage Packing Presses provide the highest yield to juice quality ratio, with a more efficient pressing process and larger output capacities than their Sliding Basin counterparts. 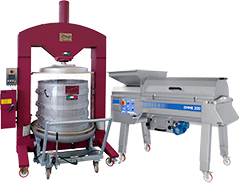 Crushed fruit is wrapped in straining cloth and packed between acacia wood or stainless steel inserts stacked inside the one of the two stainless steel press basins. 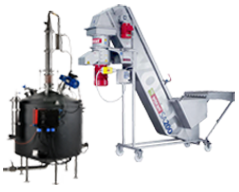 Once the basin is packed and rotated into place, the hydraulic pressing cylinder, strategically located beneath the basin to prevent any oil from coming into contact with the mash or juice, raises the packed basin up to the wooden press plate, applying the optimal level of pressure for high-quality and high-yield juice extraction. 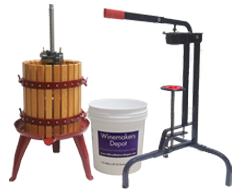 Meanwhile the second draining basin is being filled and prepared for pressing. 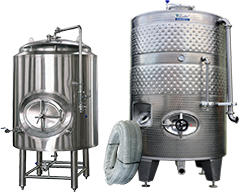 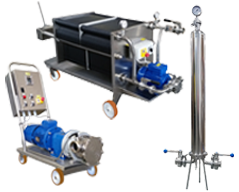 Both the 180P2 and 180P2 INOX models feature a separate hydraulic lift and lower system for to assist in loading the pressing basins directly from a Washing Elevator/Mill.